President Trump says he wants to hear from Christine Blasey Ford. President Donald Trump says he wants to hear from the accuser of his Supreme Court nominee Brett Kavanaugh but said it's hard for him to "imagine that anything happened," referring to the sexual assault allegation brought by professor Christine Blasey Ford. "If she shows up and makes a credible showing, that will be very interesting and we'll have to make a decision," President Trump said. "But I can only say this, he is such an outstanding man. Very hard for me to imagine that anything happened." (Shawn Thew/EPA via Shutterstock) Senator Susan Collins talks to the media while walking through the U.S. Capitol in Washington, Sept. 18, 2018. Asked directly by ABC News' Jonathan Karl if Ford's allegation is disqualifying for Kavanaugh if true, the president didn't directly answer, except to say he needs to hear her story first. "I would really want to see her. I would want to see what she has to say," he said. The president again brushed off the idea of asking the FBI to reopen its background check into Kavanaugh, something he has the power to order, saying "it would seem the FBI doesn't do that" and deferring to senators to handle the process from this point forward. 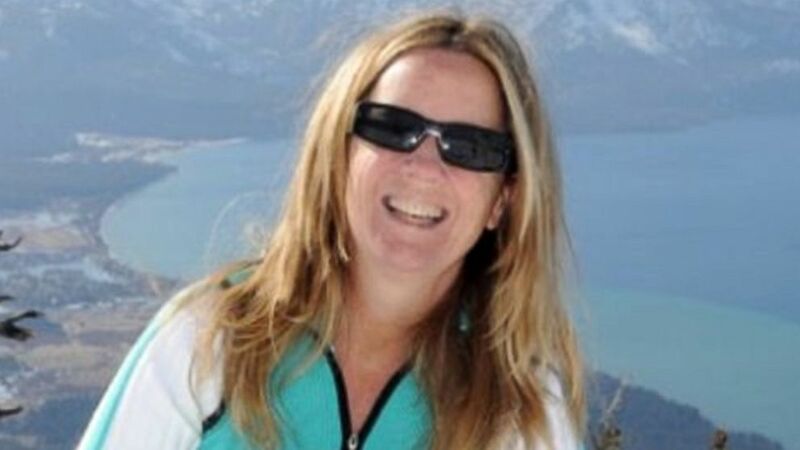 Through her attorney, Ford has said she is willing to testify before the Senate Judiciary Committee but first wants the FBI to investigate the matter to help ensure all the facts have been vetted. "A full investigation by law enforcement officials will ensure that the crucial facts and witnesses in this matter are assessed in a non-partisan manner and that the Committee is fully informed before conducting any hearing or making any decisions," her attorneys wrote in a letter to Senate Judiciary Committee Chairman Charles Grassley, reported first on CNN and obtained by ABC News. Senate Judiciary Chairman Charles Grassley on Wednesday reiterated his invitation for Ford to talk to senators "in whatever format she deems appropriate," and a GOP committee staffer said Republicans had offered to send staff to California to interview her in person. In a letter to Ford's attorney's, Grassley said, “I sincerely hope that Dr. Ford will accept my invitation to do so, either privately or publicly, on Monday. In the meantime, my staff would still welcome the opportunity to speak with Dr. Ford at a time and place convenient to her." Grassley gave them until 10 a.m. Friday to respond if Ford is going to talk to the committee on Monday. Wednesday evening, Ford attorney Lisa Banks issued a statement, saying "the Committee's stated plan to move forward with a hearing that has only two witnesses is not a fair or good faith investigation; there are multiple witnesses whose names have appeared publicly and should be included in any proceeding. The rush to a hearing is unnecessary, and contrary to the Committee discovering the truth." Grassley also responded to her legal team's call, on Ford's behalf, that there be an FBI investigation before there's talk of her testifying. “The FBI does not make a credibility assessment of any information it receives with respect to a nominee. Nor is it tasked with investigating a matter simply because the Committee deems it important," his letter said. "The Constitution assigns the Senate, and only the Senate, with the task of advising the President on his nominee and consenting to the nomination if the circumstances merit. We have no power to commandeer an Executive Branch agency into conducting our due diligence. The job of assessing and investigating a nominee’s qualifications in order to decide whether to consent to the nomination is ours, and ours alone,” Grassley said. 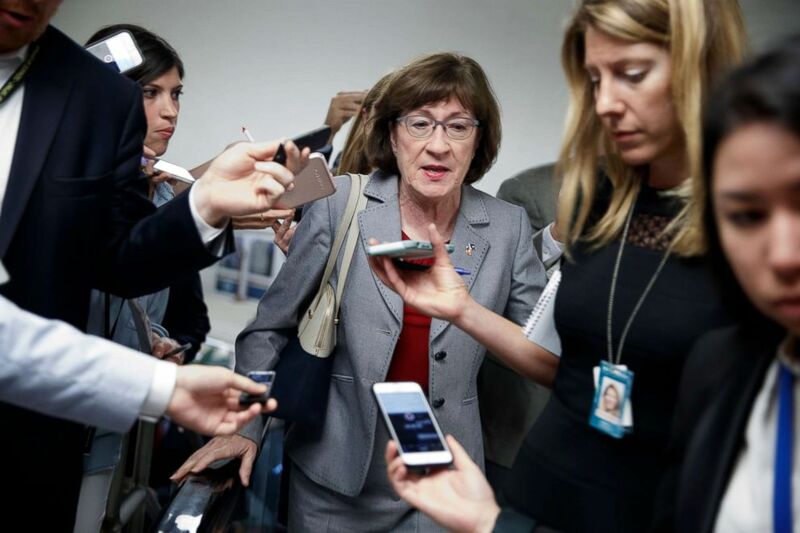 A key Republican, Maine Sen. Susan Collins, on Wednesday appeared to support Grassley's view that Ford should talk to the committee in some form on Monday and that the hearing should go forward. "Since we know that Dr. Ford had already secured the services of an attorney and presumably knows what she wants to say and there's a week -- more than a week -- between when she made the allegations and the date of the hearing, which was slated for next Monday, I just don't understand why the hearing shouldn't go forth," Collins told Maine radio station WVOM. "I don't think she can reject all those options because otherwise there are these very serious allegations hanging over the head of a nominee who has emphatically denied them, and that's just not a good way for us to end," Collins said. The president said the Senate has already given a lot of extra time to the process due to the late-breaking allegation and questioned the motives of Sen. Dianne Feinstein, the top Democrat on the Judiciary Committee, for not bringing forward a letter detailing the allegation, which she has had for months, sooner. "Why didn't Senator Feinstein bring this up at her meeting with judge Kavanaugh?" he said. "Why did they wait until everything was finished and then bring it up? That doesn't look good." The president expressed sympathy for his Supreme Court pick, saying "it's a very unfair thing what's going on" and calling Kavanaugh "an extraordinary man." "This is a very tough thing for him and his family and we want to get it over with but at the same time we want to give tremendous amounts of time. If she shows up, that would be wonderful. If she doesn't show up, that would be unfortunate," he said. Kavanaugh has been personally "shaken" by the accusations against him, according to an official closely familiar with the nomination process, but remains "resolute" and "unflinching" in his categorical denials, the official said. Asked how Kavanaugh might hold up during a possible interrogation in front of the Senate Judiciary Committee next Monday, this official said he's going to be "very, very believable." Unlike the past two days, Kavanaugh has not come to the White House on Wednesday, according to the official. Eshoo told ABC News' Karl on the "Powerhouse Politics" podcast that she met with Ford face-to-face over the July Fourth holiday and discussed her story. Eshoo said she thinks Ford is aware of the personal risks of coming forward. ABC News' Justin Fishel contributed to this report.